Creating that intimacy early on enables us to effectively translate the goals and objectives of our client to potential business combination candidates. Cyber Capital Partners takes pride in the integrity we bring to each and every engagement. This integrity has become our differentiator in an industry that sometimes focuses too narrowly on "getting the deal done". We are a small team of specialists. We measure our performance by the increase in value created for our clients – not the number of transactions or the breadth of our services. We do deals that increase value, and that is all that we do. Our clients include public and private companies engaged in strategic acquisition initiatives; private equity groups looking to acquire or divest portfolio companies; business owners and executives seeking growth and exit strategies; and management teams seeking to purchase or recapitalize their companies. We at Cyber Capital Partners know that finding the right partnerships to grow your company is not to be taken lightly. That’s why we offer free consultations to walk you through your needs, the scope of your goals, and your budget. Jason is best known for his expertise in supporting consolidation strategies, strategic partnerships and recapitalizations in cybersecurity, cloud and other advanced technology businesses in highly regulated markets: US government, financial services, legal, critical infrastructure, and healthcare. As Managing Partner of Cyber Capital Partners and previously the Managing Director of Venture Management, Jason has lead or co-lead dozens of corporate development engagements. Jason has spent the past 15 years negotiating and structuring mergers and acquisitions, debt and equity financings, strategic alliances and joint ventures. Prior to Venture Management, Jason developed his financial analysis and modeling skills at the Calvert Group, Thompson Financial and Brown Brothers Harriman & Co.
Jason received his M.B.A. from the Robert H. Smith School of Business at the University of Maryland, with concentrations in finance, strategy and entrepreneurship. He obtained a B.A in Economics from Boston University. He is active in the Washington, DC venture communities and in Maryland Industrial Partners Program. One of a 100 Certified Professional Facilitators (CPF) in the United States, Doug leads enterprise-wide cyber security, cloud, and information technology modernization strategic planning, policy, governance, business process, data analysis, human factors, communications, and behavior change transformation initiatives for the U.S. Federal Government and private sector organizations. He also leads and advises on business development, capture, teaming, and proposal strategy and responses for U.S. Federal Government cyber security and IT Services procurements, ranging from multi-billion dollar GWACs and IDIQs, GSA Schedules, and BPAs/RFPs for the Department of Defense, Department of Homeland Security, and civilian agencies. Doug obtained his M.A. from the Walsh School of Foreign Service at Georgetown University and his B.A. from Trinity University of San Antonio. He is active in several organizations focused on the federal market, including ACT-IAC, AFCEA, and AFFIRM. Fritz is an executive management consultant with a focus on enterprise infrastructure transformation and cyber security innovation. Fritz has a lengthy career in supporting the cyber security efforts of key intelligence agencies. 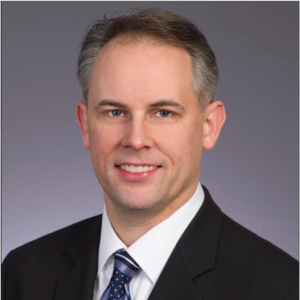 Fritz has been the Chief Technology Officer for multiple organizations that have focused on technology transformation for the Intelligence Community, Federal agencies, and large corporate customers. 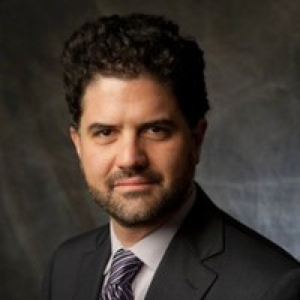 His specialties include newly developed technology evaluations, enterprise data management design, infrastructure automation and optimization, cyber security risk mitigation, and M&A technology due diligence. He has also designed a cutting edge data center and cloud managed services platform to enable information sharing while maintaining compliance with data protection best practices. Rich is an operational finance executive adding value to Cyber Capital Partners’ clients in the areas of strategic planning, operational leadership, investment prioritization, financial management and reporting, and due diligence. Rich develops financial strategies that transform organizations, drive organic growth, free up resources for more productive reinvestment, and focus expansion through acquisitions and divestitures. Rich’s financial leadership has produced a track record of achievement in driving profitability, cash flow, producing millions in annual savings. Prior to joining Cyber Capital Partners Rich was the Senior Finance Director for the Civilian Solutions sector of General Dynamics Information Technology. This large portfolio of IT, cyber, call center, and logistics programs served US civilian cabinet level agencies as well as the Department of Homeland Security. He previously served as Finance Director for the Advanced Information Solutions business area of ITT-Exelis, Inc. (acquired by Harris Corporation, now Peraton). In this role Rich led the finance organization for a growing portfolio of applied R&D programs serving the Department of Defense and other agencies in the intel and cyber communities. Rich holds a M.B.A. with concentrations in Finance, Corporate Accounting, and Public Accounting from the Simon School of Business at the University of Rochester. He also holds a B.A. in Economics from the University of Rochester. Rich is a Certified Management Accountant and Value Based Six Sigma (VBSS) Green Belt. He is an active member of the Alliance for Corporate Growth and the Institute of Management Accountants. Matthew leads Cyber Capital Partners' development of emerging cyber security companies by partnering founders and entrepreneurs with customers and investors, advising companies on their organizational maturity and facilitating key strategic partnerships. Matthew is an expert at working with elite teams within large organizations. Matthew began his career as a decorated US Marine, working as an All Source Intelligence Analyst deployed in Europe, Africa and Cuba during Operation Enduring Freedom. Continuing his Counter-terrorism and Counterintelligence career after his military service, Matthew joined Booz Allen Hamilton's effort supporting the US Intelligence Community. Matthew obtained his M.B.A at University of Cambridge, with a focus on Strategy and Management. He obtained his B.A. at the College of Charleston. After his MBA, Matthew has brought change management to large organizations like JP Morgan Chase and Discover Financial Services. Matthew is also a Certified Anti-Money Laundering Specialist (CAMS). Laura brings a wide variety of industry and functional experience to Cyber Capital Partners. Her experiences include fundraising planning, market research, improving operational efficiency, change management, and strategic planning. Laura has experience in sales and product marketing in the healthcare technology space, and helped customers understand and adopt secure communication technology at a SaaS startup where she ultimately served as Chief of Staff to the CCO. Laura recently expanded her tech sector expertise by working with a cybersecurity incubator, and by consulting at Google. She obtained her MBA with a focus on Digital Business Management from the University of Cambridge, and also holds a B.A. from the University of Virginia. A C-Suite veteran of several growing government contractors (including two INC 5000 listees), Paul leverages three decades-plus of industry experience for Cyber CP clients. He focuses on developing and deploying corporate strategy, building infrastructure aligned with strategic plan and projected revenue, accessing capital in optimal form, and putting in place a pathway to successful exit. 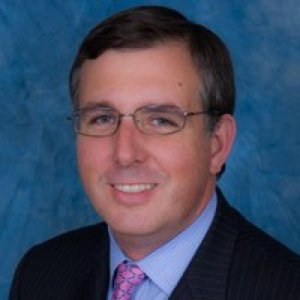 He previously served as Principal for two boutique investment banks supporting the aerospace and defense sectors, providing buy and sell side services, and was Director/VP, Corporate Development for public and private federal contractors, managing strategic pursuits, portfolio shaping and deal transactions for system integrators, IT services and mission support firms. He is the Immediate Past President of the National Defense Industrial Association-NDIA, New England, and currently serves on its board. He holds a M.A. from Boston University and a B.A. from Northeastern University.